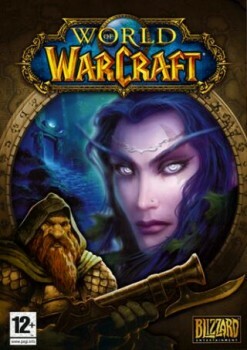 Black Gate » Articles » Sam Raimi to Direct World of Warcraft, or What’s Wrong With Video Game Movies? Sam Raimi to Direct World of Warcraft, or What’s Wrong With Video Game Movies? Come with me, if you will, to a magical, improbable land. A land where ideas and craft outweigh brand recognition and marketing potential, where films are the visions of writers and directors rather than of moneyed committees, and where the word ‘remake’ is most commonly associated with smoothing the bedsheets after a midday nap. It’s a place perhaps more fantastic than worlds of warring orcs and elves, since at least the orcs and elves are behaving according to their nature. Blizzard — world-straddling giant of the video game industry — just issued a press release saying that Sam Raimi of Evil Dead and Spiderman fame has signed on to direct a movie based on Blizzard’s megaton MMORPG hit World of Warcraft. 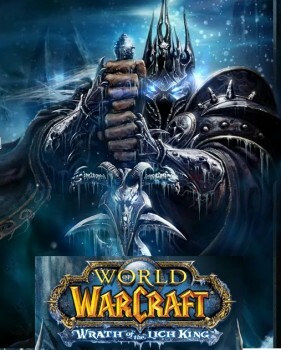 This interests me on a lot of levels, though as one of the mere thirty or so people in North America that has never actually played World of Warcraft I can’t really discuss it from the angle of a fan. In fact, I may be spectacularly ill-equipped to talk about this at all. When I heard that WoW — as World of Warcraft is affectionately known to its fans (it’s also called Warcrack, as many a neglected girlfriend can well-attest) — was potentially being made into a film, I said to myself “Oh great, another video game movie,” closely followed by “Oh great, something to blog about at BG!” I then did my best to be charitable and think of all the video game movies I liked. Drawing a blank, I ransacked the little gray cells for examples of video game movies I’d actually seen. Coming up with nothing, I then went to that resource of first-resort for the google generation, Wikipedia, for a list of films based on video games and confirmed my suspicions. Yup, every one of them. Granted I haven’t actually seen all but handful, but that only proves my point — I didn’t bother to see them because their suckage was palpable and obvious to anyone media-savvy enough to work a remote control. Since I’m generally not a fan of the sorts of games that have been made into films in the first place, more from lack of exposure than personal taste, I usually have no reason to make the brave attempt to sit through them, though when someone finally makes a film of Europa Universalis II you can bet I’ll be outside theaters the night before with a sleeping bag and Coleman stove. For a sampling of the worst of this rogues gallery of creative failure look at Time’s 10 Worst Video Game Movies. The Resident Evil movies (hey wait — I kind of liked the first one of those! ), Doom, Street Fighter, Wing Commander, Hitman . . . all culminating in the apotheosis of bad video game films, and the unholy progenitor of the whole pack, the eye-gouginly bad Super Mario Brothers. Hapless German phenom Uwe Boll merits special attention on this top ten list, with three entries: House of the Dead, Bloodyrayne, and *shudder* Dungeon Siege. Both a director, and boxer of bloggers, Boll has sworn to whatever dark powers he serves to drag the medium of cinema as far down as is possible without actually switching from film (or video — he’s not above using video, right?) to something like a flip book. How exactly he can get some of the actors he does to work with him is beyond my comprehension, and the Queen ought to revoke that knighthood she gave Sir Ben Kingsley for appearing in a Boll film. Anyway, my point is that, even with Raimi at the helm, my best case prediction for World of Warcraft is that it might furnish us with a Bruce Campbell cameo, but beyond that I’m not holding my breath. Comics and video games have both provided rich seams of material for Hollywood to mine. And this is genre material to boot, something readers of BG have a keen interest in. But why is it that there are good — even great — films based on comics, but only a handful of barely decent video game derived films in a sea of garbage? Both mediums offer branding. Name recognition, a built-in fan base, and clearly exploitable avenues of marketing are all sweet honey to the busy bees of Hollywood financing. Furthermore, comics and video games offer similar resources to the filmmaker in the realm of aesthetics and design. Whether it’s Zack Snyder or Robert Rodriguez treating a comic as a frame-for-frame storyboard for their films, or just the larger pool of images, iconography, and settings, so much of what makes these properties distinctive translates directly into film. Comics have done especially well with high concept designs, but many of the video games films have also succeeded in the realm of visual distinctiveness, only to fall flat in other areas. And those areas are story and character. Video games, for the most part, are not narrative stories — and even when they have narrative elements such as in the case of an RPG, the central character of the thing is the player. Placing all choice in the hands of the player is what makes video games distinctive and fun, but it also means that, in translating them into a narrative vehicle like a film or book, they offer very little foundational material. That is not to say it’s an impossible task to construct a compelling character from a video game property, but translating video games to other mediums creates a problem when it comes to an agreed upon narrative thread. The audience for a superhero film largely agrees as to who and what the central characters and story are. They have been exposed to the comic, either directly or indirectly, as a narrative story. Not so a video game. I imagine all those players of World of Warcraft share notions of setting, background, and visual style, but when it comes to characters, well, it’s their characters, and those of their friends, that they know and love. There is no larger shared narrative beyond the background of the world, and, as the word denotes, this is background. The visceral stuff, plot and character, doesn’t exist in a form universal to the story, but rather in localized narratives of one — the story of each and every game player. I don’t think video game movie fail because video games are shallow, I think they fail because video games aren’t conventional narratives, and movie makers by and large have not figured out how to translate them. The stuff that really works in comic films is the stuff that has already been worked out ahead of time by the writers and artists of the comic book itself — when it comes to video games, there is a blank spot where character should be, and few makers of video game movies have shown an ability to fill it. Couple that with the fact that video game films have, so far, been lower budget efforts and, I suspect, taken a lot less seriously by all concerned than even the once lowly comic book properties, and you have a recipe for sub-mediocrity. Getting back to the World of Warcraft release, if one can stand reading the bland and uninspired corporate-speak and adjective-heavy mutual admiration that pervades it, we must take note of the hilarious “Cautionary Note Regarding Forward-looking Statements” that I honestly thought was a tongue-in-cheek parody of legalese until I read (some of) it and realized it was for real. It says in no uncertain terms that all of this is tentative, and still quite a ways away from becoming a reality. So none of this is a done deal. And, finally, the release does also mention that Warcraft is a “rich fantasy setting.” Glad they didn’t say unique, innovative, or ground-breaking, because it really is as derivative as they come. Beginning as a real time strategy game, the Warcraft universe is more or less a direct rip-off of the Warhammer universe, which itself is a derivative melange of several dominant elements (D&D, Moorcock, Tolkien). Warhammer actually has gone on to become a “rich fantasy setting” by way of accumulation of lots and lots of fiction and background material, but I can’t say if the same is true for Warcraft. 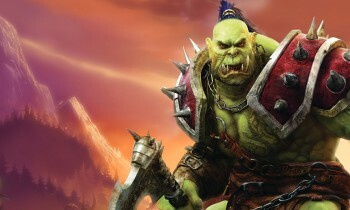 One thing is certain, however, and it is that the pernicious green orc meme started by Warhammer and popularized by Warcraft will receive any even greater push in seizing the popular imagination if this film is made, which could tip the scales in favor of the gauche nouveau fantasists in the continuing war to determine the proper color of orc flesh. What you say about “a blank spot where the character should be” is absolutely true. R. A. Salvatore said in one interview concerning the big 38Studios project he is working on, that as a writer for a _game_ it is his job to give the player the tools to write their own story. Which, in a way, means a movie needs to be the visual equivalent of the old “Choose Your Adventure” books.